Our houses are built with framing technology that provides light, energy-saving, economical and fast construction solutions. Thermal insulation is placed between construction elements, hence not affecting the width of walls, whereas the facade can be made of any material (wood, siding or plaster). Walls are partly prefabricated at our company, which provides immediate assembly of a house at the site. 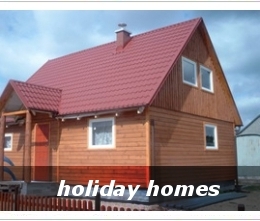 The time of a house construction to a closed condition is from 4 to 15 days depending on a model. 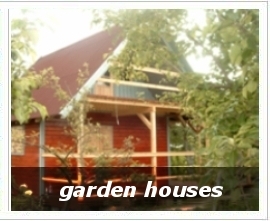 The framing system has been applied for many years all over the world and has proven itself in any climatic zones. With this technology you can adjust the building to your needs and requirements. The main advantage is that all structural and external forces are carried by external walls, hence facilitating any arrangement of the whole interior. Another advantage is the possible development of buildings constructed with framing technology. We purchase fittings and other products from reliable companies of established reputation. Our specialised assembly teams will construct your house with your participation, hence you can continuously influence the 'shape' of the investment. After the assembly stage the object is subject to acceptance by our expert, which provides good quality and failure-free operation of our houses.